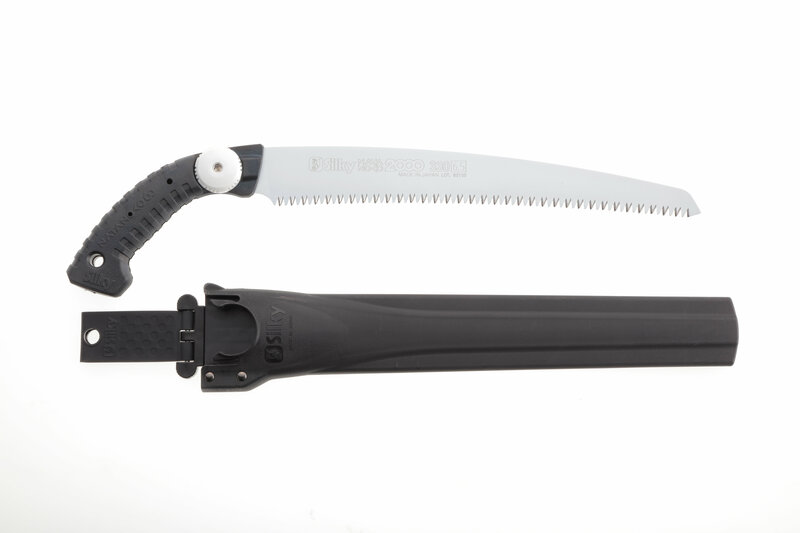 Perfectly balanced, ultra-durable hand saw with a 13-inch, curved, mono-constructed blade. Curved-back handle adds depth and strength. New Silky NATANOKO 2000 is a superbly-designed upgraded version of the popular NATANOKO/60 model. It is equipped with a perfectly-balanced, uniquely-shaped, low angle curve (2,000 mm radius of the blade), hard chrome-plated, taper-ground blade. The low angle curve enables cutting branches smoothly and incredibly fast. 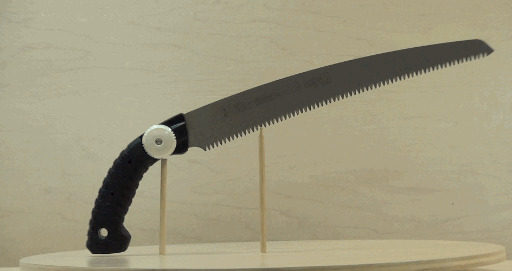 The blade is mono-constructed giving strength and flexibility to the full length of the saw. 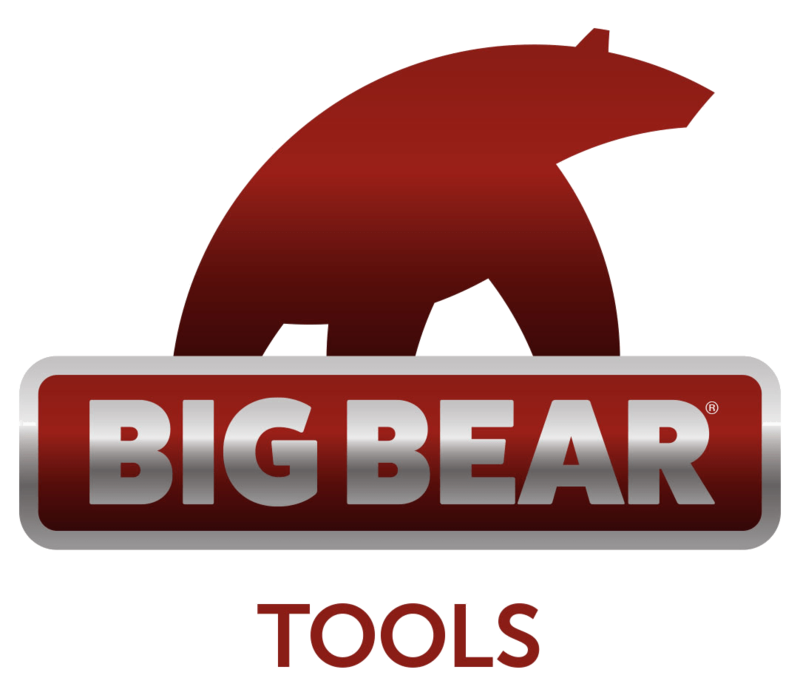 The precision-ground, razor-sharp teeth provide fast, clean and extremely smooth cutting action. The hard chrome-plated blade resists rust and effects of tree resin, and wipes clean easily. Comfortable non-slip rubber handle absorbs vibration, reduces work fatigue and provides superior grip when hand are wet or wearing gloves. Exceptional design, strength, balance and superior finish quality. Durable black polypropylene sheath with belt holder is included. 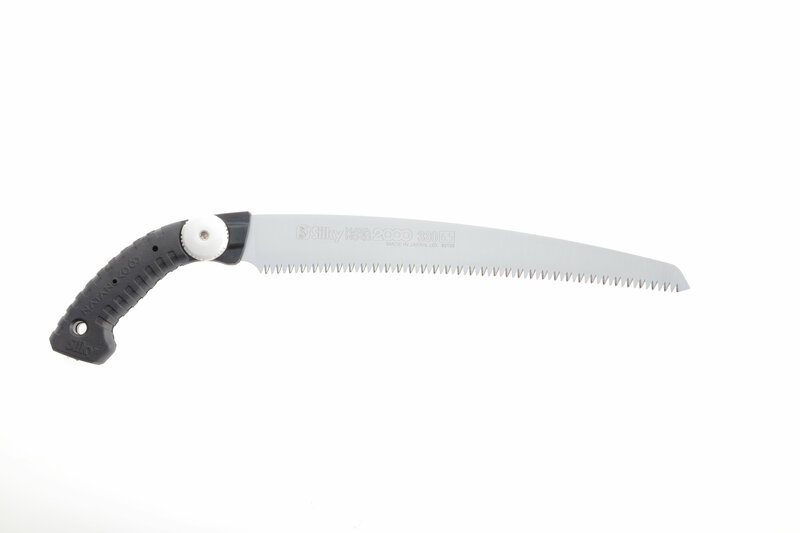 Suitable for all pruning tasks and cutting large branches. Made in Japan.